Champagne is probably the most mythical of all French wines, that one does not drink every day but only on special occasions. One talks about Champagne while there are a great number of wines of Champagne, all very different from each other. And there is much to learn about Champagne so as to appreciate and love it even more… if that’s possible! 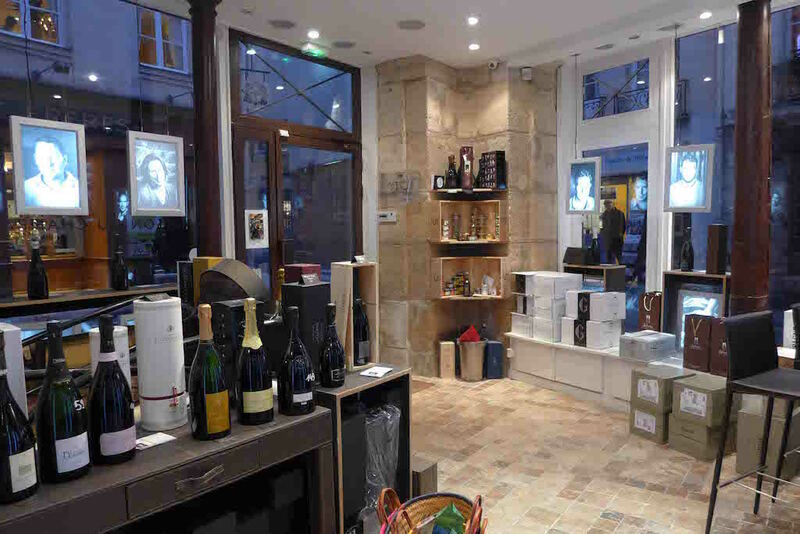 There are many wine shops or wine bars in Paris… but only few places dedicated to Champagne. 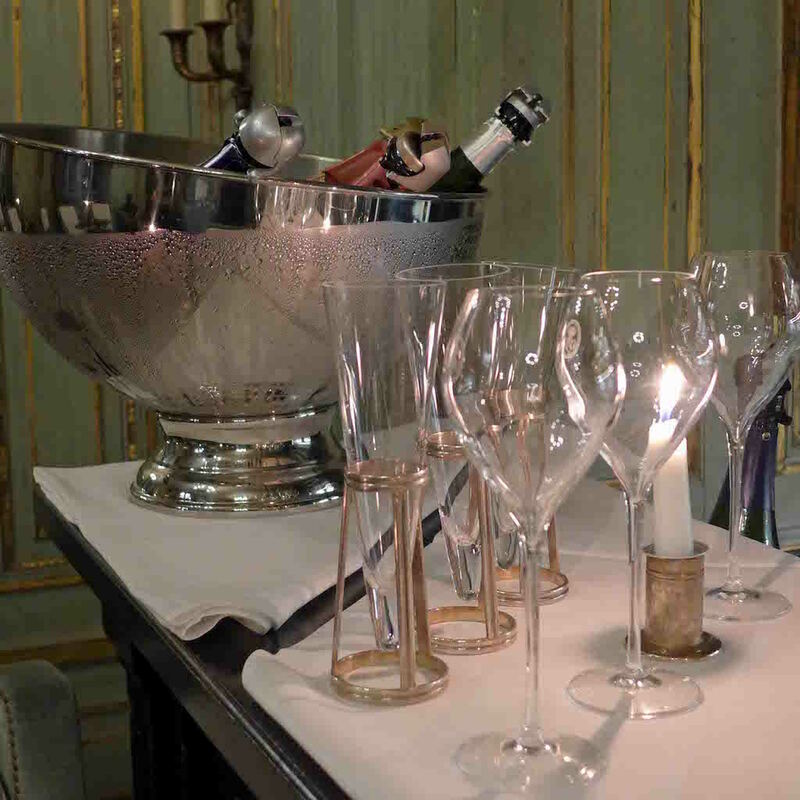 I wish to introduce you to the best of them, all three very confidential but not to be missed by any Champagne lover. 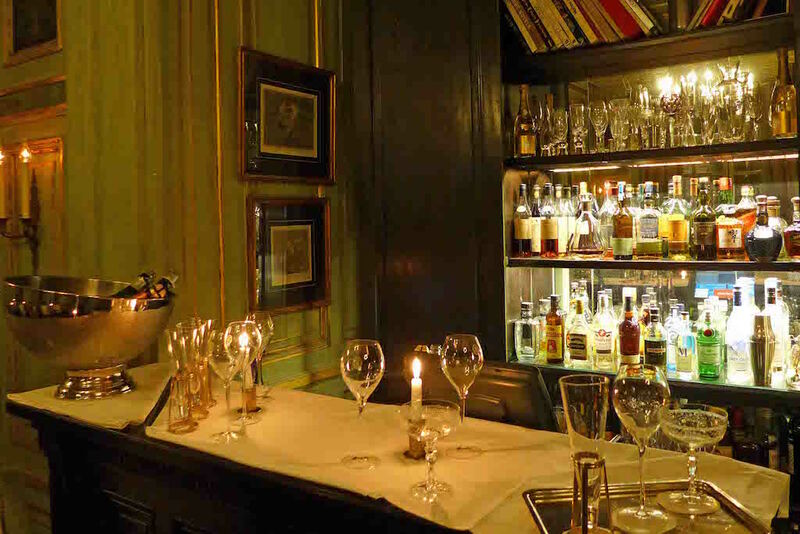 The most ancient and remarkable Champagne Bar in Paris is located inside a charming boutique hotel in 16th arrondissement of Paris, Le Dokhan’s. 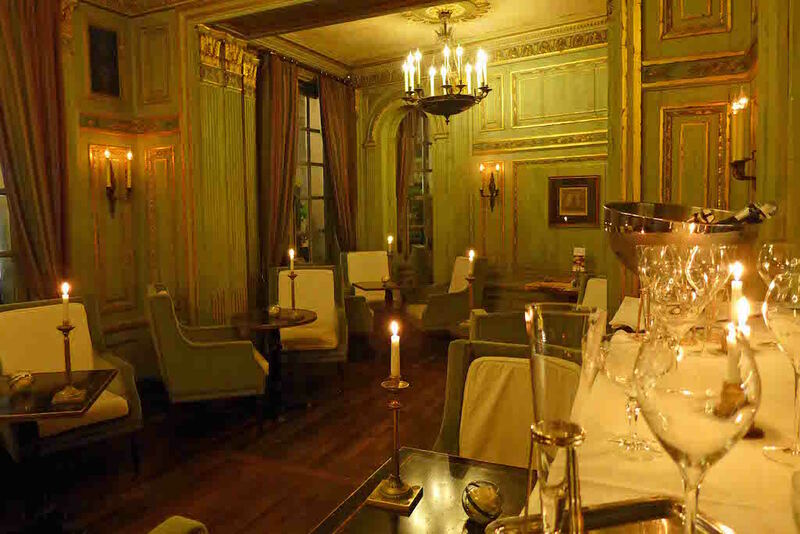 It has an intimate and timeless atmosphere especially when it is simply lit by candlelight. One can sit either next to the bar in a green living room with wainscoting from 17th century ; or next to the fire place in another elegant living room furnished with antiques and decorated with Matisse and Picasso drawings. Both are charming but my favourite is the one with the bar. The Champagne list is awesome: 250 different references, including exceptional bottles that cannot be found anywhere else ; but also champagnes produced by independent wine growers unearthed by Arthur, the chief sommelier. One can order either a bottle, a glass or a tasting of 3 different champagnes of independent wine growers, which is in my opinion the best experience. The armchairs are very comfortable, the atmosphere very relaxing, refined without being stilted… One leaves the place with regret thinking about coming back the next month to taste the new selection of 3 champagnes; or to attend one of the tasting of wine growers or jazz evenings regularly proposed by the Bar Le Dokhan’s. Before leaving the hotel I suggest you having a look at the elevator whose cage is unique: it is made with a genuine vintage Louis Vuitton steamer trunk. Back to a time when travel was an art! To be a ‘Dilettante’ is to have just an amateur interest in something, to do it for pleasure. One could not have chosen a better name! Indeed since she opened the first and unique Champagne Shop in Paris five years ago, Fanny has made a lot of people happy. Her aim is to make people discover the diversity and quality of champagnes produced by independent wine growers in small and family-owned estates… and it works! Fanny has selected 25 Champagne producers representative of the four different growing regions in Champagne. All of them work in a sustainable, organic or biodynamic way and make quality distinctive wines. 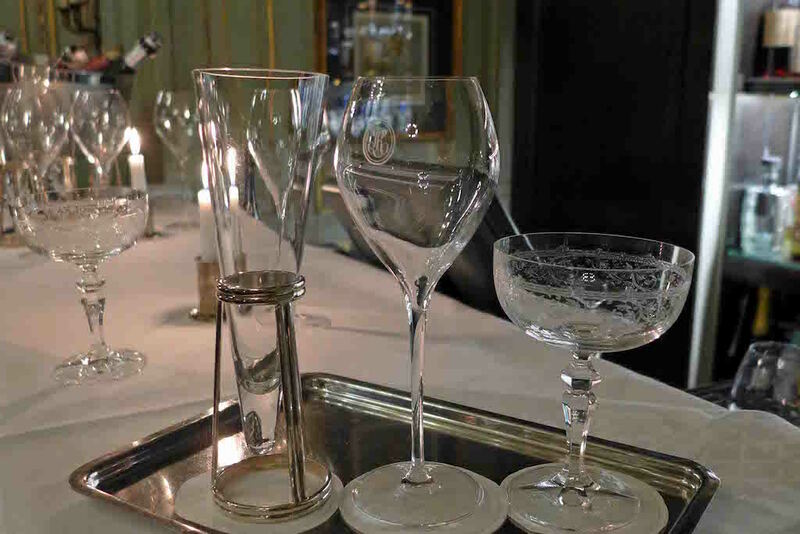 Each Champagne producer proposes a selection of bottlings and in total Dilettantes sells about 150 different champagnes. Plus 50 references from the most famous Champagne houses, such as Ruinart, Taittinger,… but only rare bottles that cannot be found in supermarkets. Four huge wine fridges keep cool more than 1000 bottles! Dilettantes is THE place to discover the diversity of champagnes, to taste them and to learn about them. When you buy a bottle, you get a card with a detailed description of the champagne… and a picture of its producer. And at any time during opening hours one can taste there one or several champagnes out of a selection of three which changes every 2 weeks. 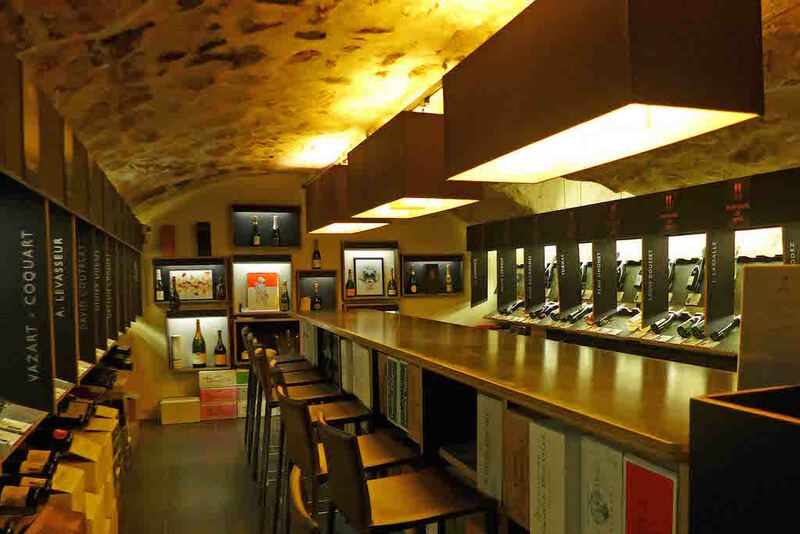 Many other tastings, either thematic or hosted by the wine growers themwelves are taking place in the shop… I should say under the shop, in a beautiful cellar from 17th century. Every tasting is the occasion to get explanations and advices and to learn more. Some wines and food pairing do not come to mind spontaneously. Among them: Duck and Champagne, a wedding of two ‘terroirs’ which are so different. Nevertheless a Parisian restaurant opened two years ago with this speciality, and it works very well! 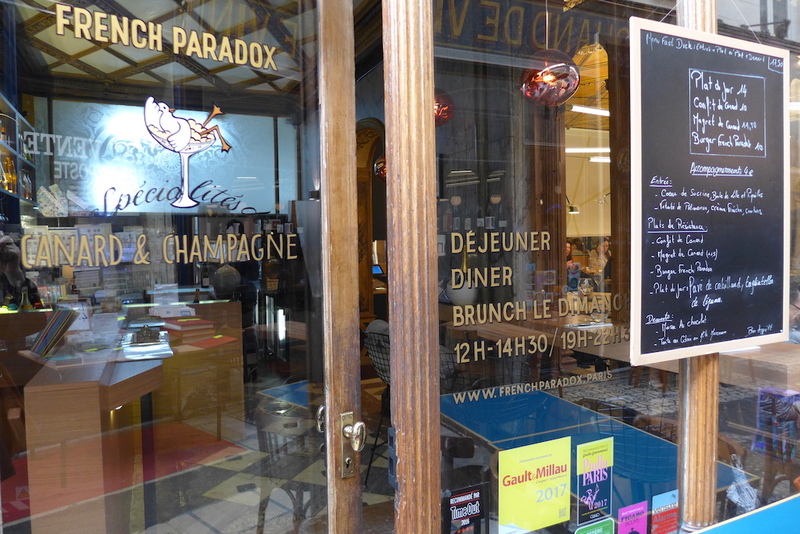 The double name of the place, one very ordinary ‘Canard et Champagne’, and one more subtle ‘French Paradox’ shows well the daring of such a wines and food pairing. 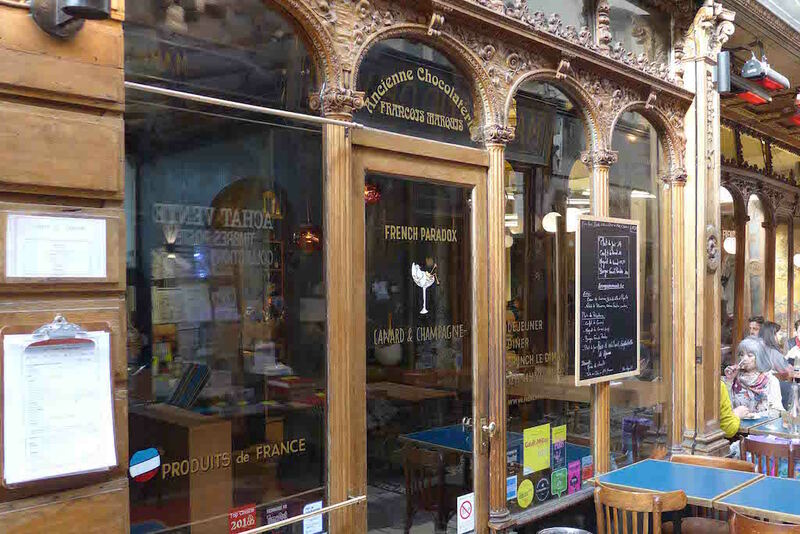 Both tourists and local people seem to be fond of the idea to combine in a same meal two of the jewels of the French gastronomy: the restaurant has a great success and is very busy at lunch time. One is happy to discover the perfect harmony between a well balanced champagne -fresh and fruity in the same time- and a foie gras; and the interesting combination of a rosé champagne -served not too cool- with a duck breast perfectly cooked. I like the decor of the restaurant which also shows a search for a successful harmony. The historic panelling and inlaid work of the place, which used to be a Chocolaterie, have been preserved but modernized by the use of black and white, of light wood and geometric lines in the fitting out of the restaurant room. 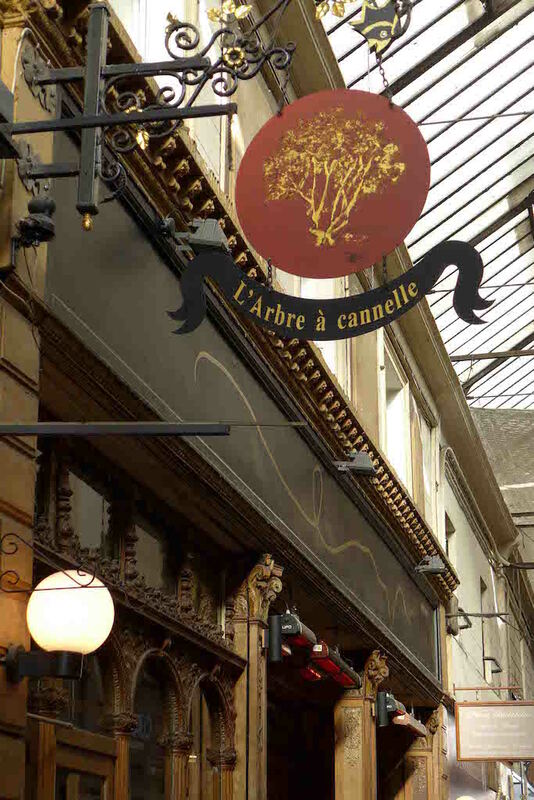 Canard et Champagne is located in the beautiful Passage des Panoramas: Do not miss a walk in the Passage either before or after your meal. 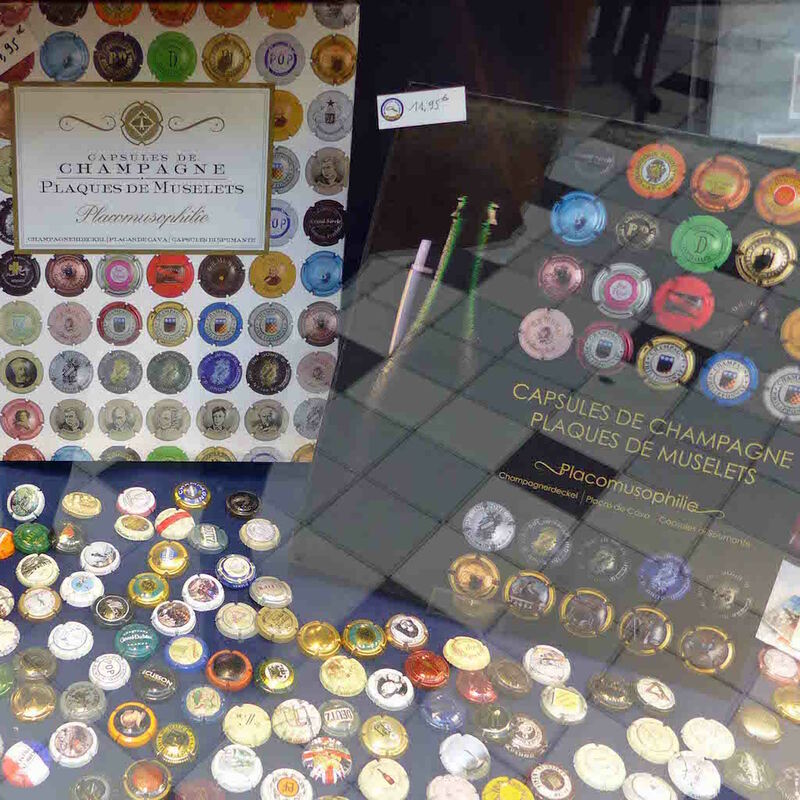 Thanks to the next shop one will learn that people do not collect only stamps or coins, but also foils of champagne. This kind of collection is called: ‘placomusophilie’. I am afraid that there is no English translation for such a word!